Panelists Alexandra Nagy, Paula Cracium and Loraine Lundquist, panel moderator Hart Bochner and EMA's Asher Levin on stage at "Two Months Later: Porter Ranch and the Role of Environmental Disasters in the 2016 Election." Photo by Lee Choo. Less than 10 miles from California State University, Northridge, near the town of Porter Ranch, sits the site of the worst natural gas leak in United States history. Spewing approximately 100 cubic tons of methane into the air and causing thousands to feel symptoms of illness, the facility’s owner, Southern California Gas Company, has received public and political scrutiny for its handling of the crisis. In partnership with the Environmental Media Association (EMA), on April 26 CSUN hosted panelists including Porter Ranch neighborhood representatives, advocacy group members, politicians and environmentalists to discuss the clean-up efforts and long-term effects of the leak at Two Months Later: Porter Ranch and the Role of Environmental Disasters in the 2016 Election, the second event in the association’s speaker series. The Aliso Canyon gas leak lasted just under four months, beginning in October 2015. Many of the 15,000 displaced residents have yet to return to their homes, according to Porter Ranch Neighborhood Council President Paula Cracium, one of the panelists. Though parts of the neighborhood directly surrounding the leak were evacuated, reports from across the San Fernando Valley have suggested that the pollutant may have spread farther than Porter Ranch. “It’s important that students are informed on what is going on with something [like the gas leak] that relates to them and the spaces that they are living in,” said CSUN Chicana/o Studies major Arleen Morales. Morales was one of the many students who came to the event to learn more about what is being done and the potential long-term effects. Panelists included Cracium, Food and Water Watch Senior Organizer Alexandra Nagy, Sierra Club My Generation Campaign Representative Graciela Geyer, CSUN Institute for Sustainability Faculty Associate Loraine Lundquist, Chicana/o Studies Assistant Professor Stevie Ruiz, Green For All Director Vien Troung and Henry Stern, senior policy advisor to State Sen. Fran Pavley. The panel was moderated by actor, filmmaker and activist Hart Bochner. 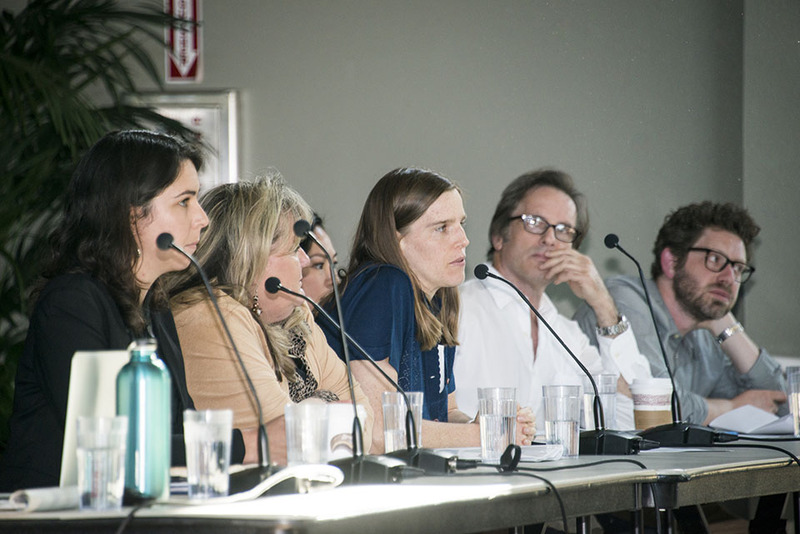 Though the primary discussion centered on the Aliso Canyon gas leak, panelists also discussed the environmental disasters in the Boyle Heights neighborhood of Los Angeles, in which the Excide battery plant leaked toxic lead into the ground, and in Flint, Mich., where lead was found in the water. Both disasters, like the one in Porter Ranch, involved threats to residents that are still ongoing. Speakers urged students and community members to call their State Assembly members to support the various bills related to the gas leak crisis. One of these bills, SB 380, was approved 67-1 in the Assembly on April 28, mandating that no gas be injected into the facility until Southern California Gas Company can guarantee the well is safe. Shutting down the facility is the only way to guarantee safety for nearby residents, Nagy said. Her organization is a partner in the upcoming Break Free 2016 march from Los Angeles City Hall to Southern California Gas Company headquarters, which organizers said they hope will garner the attention of elected officials and help end reliance on fossil fuels. According to Cracium, direct interaction with officials is what provoked California Gov. Jerry Brown to declare a state of emergency in Porter Ranch due to the gas leak.